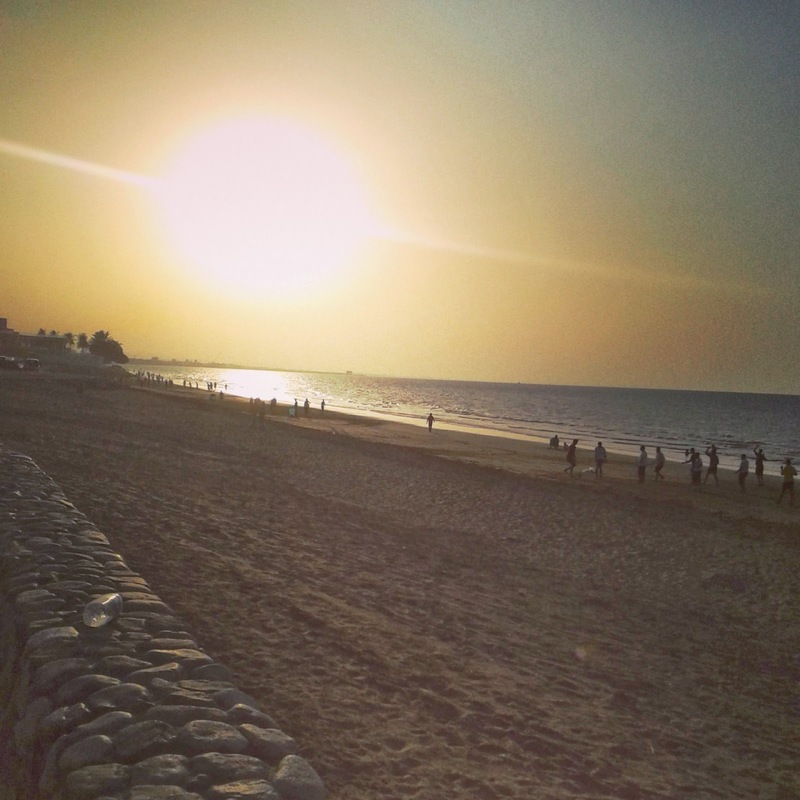 Qurum beach is one place in Muscat, which I describe it as the Miami of Muscat. As a total crazy beach lover, I made up my mind to go hit the beach in the weekends and as the locals suggested me, I decided I would go to Qurum Beach. As it is really hot in the afternoon and going to the beach in the broad daylight would indeed be a terrible idea, I left for there at around 3 pm when it begins to get cooler. I caught a taxi from my place at Al Khuwair to Hotel Crowne Plaza in Qurum, which costed me about 2 Omani Rials. Getting down in the front of Crowne Plaza, I turned towards the sea and saw how beautiful the Arabian sea looked. 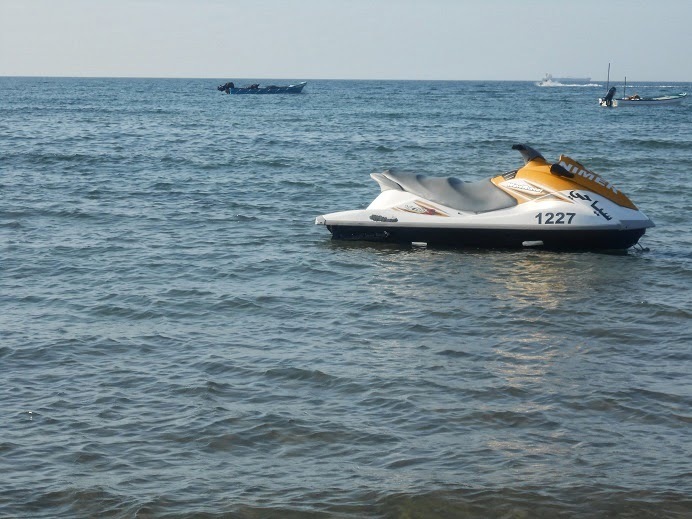 I could see small boats sailing and a lot of jet-ski in the run. There were also tourists who were kayaking in the sea. The place was filled with tourists and families enjoying themselves in the beach. 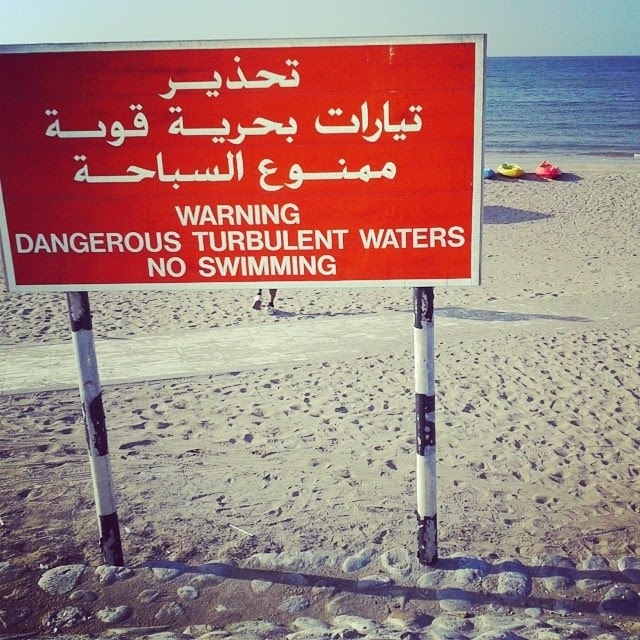 The beach isn't much idle for swimming and a large board was already displayed there which said NO SWIMMING ALLOWED. So, I just pulled up my shorts, took off my shoes and started walking in the beach. 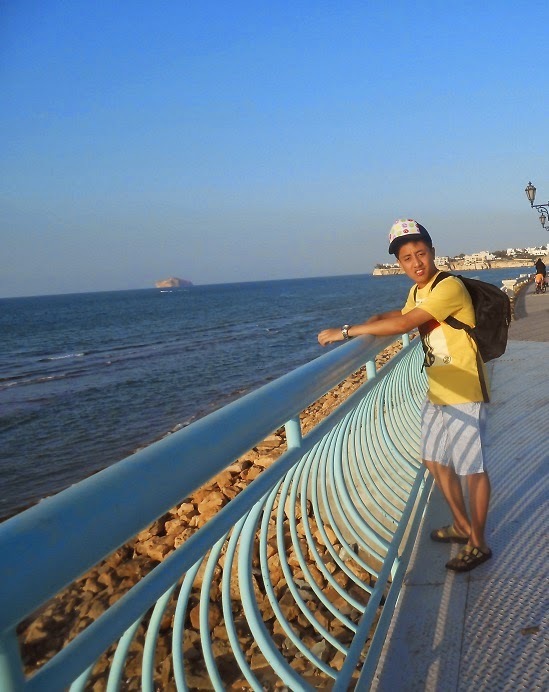 I had some friends too who had accompanied me and it was all of us taking a short walk in the beach. 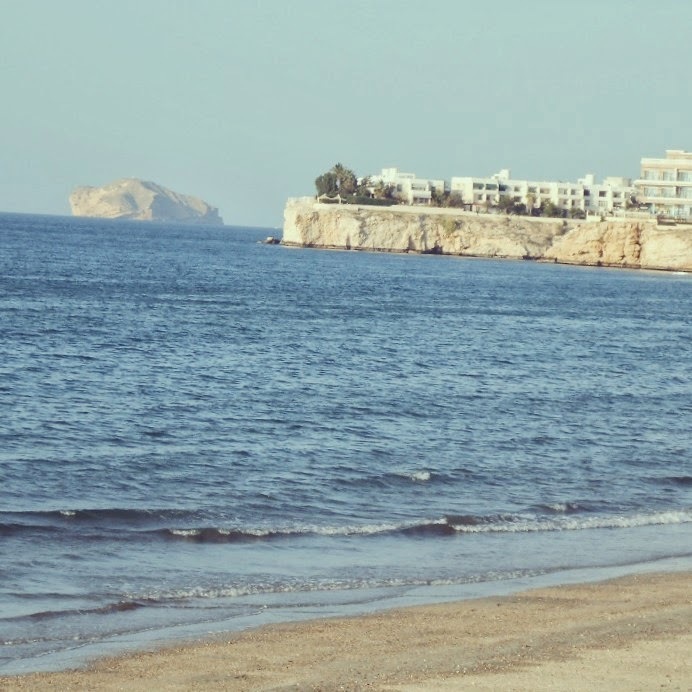 There is a long marine drive that goes along with beach from Hotel Crowne Plaza until Hotel InterContinental and taking a walk till InterContinental, Muscat would be the best in the evening so I went for that. Not my car, but wanna buy one. One thing I miss about India and its beaches is the street food that are available there which certainly isn't available in Muscat. A beach was a lot for me about sea food being sold in the beaches which I missed in Muscat but never mind there were a lot more things to see here at Qurum beach. 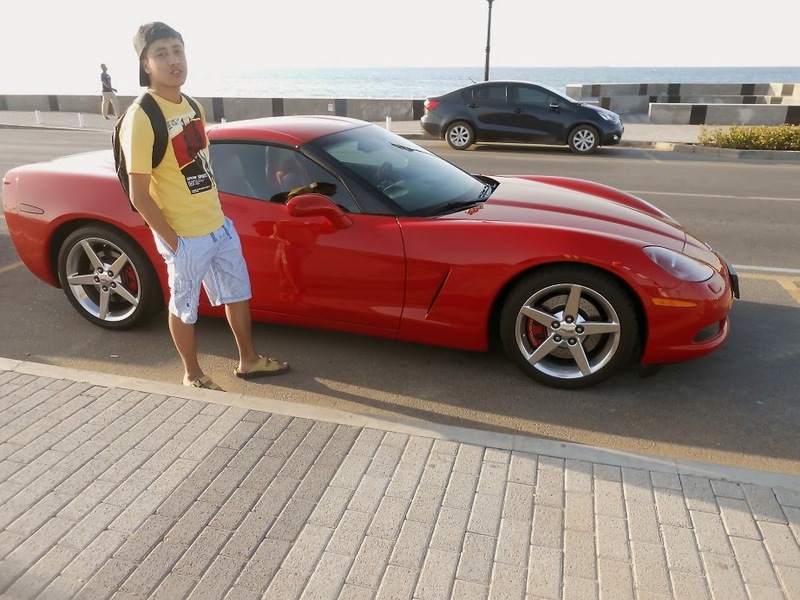 As I started walking along the beach and the pedestrian path in the marine drive, I was amazed to see the number of sports car driving by every now and then. Maybe I am from India where this thing isn't common or my love for sports car, I could just sit there the whole day watching all those Lamborghini, Ferrari,Porsche, Royce Royal and Maserati driving by like a rocket. 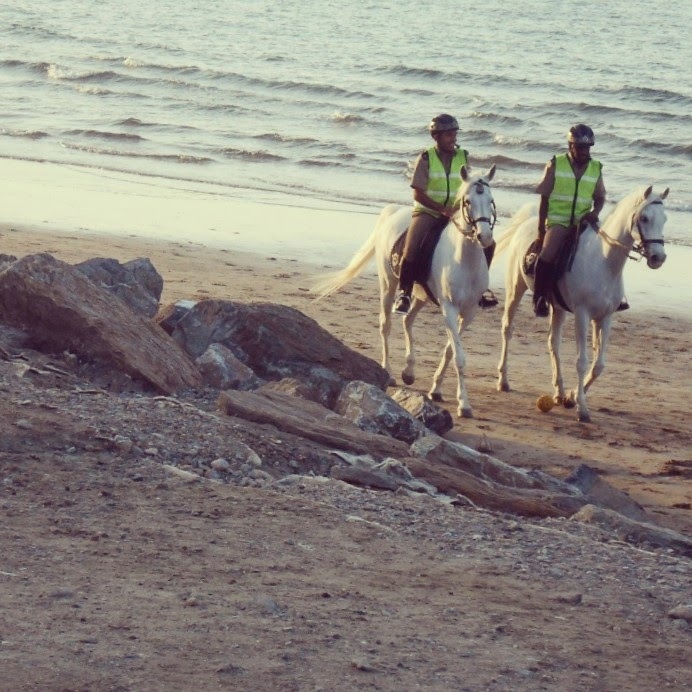 One thing I noticed which I also found it particularly interesting was the Omani police in the beaches riding in horseback which was really cool. This area particularly is packed with the European crowd and we can expect to see a lot of families with their baby crib in the beaches. There is also a Starbucks on the way but I didn't drop by though I love Starbucks but I guess there was so much more to see. The beaches also had families enjoying picnics and barbecues and people enjoying beach volleyball and soccer at Qurum beach. On the way, I saw a place which was crowded with people and then there was a stall selling hot sea-food barbecues and I just went for it after the walk which had made me really hungry. The barbecue was delicious, especially because of the freshness of the fish from the sea or maybe because I was too hungry. After a bit more walk, totally tired, I crossed Hotel InterContinental and came to a junction called Shatti Al Qurum which was filled with people which was full of stalls for food and drinks like Costa and Starbucks so I just rushed to Costa for a cup of Cafe Latte. The sun had already set and it was getting dark and I just sat there enjoying my cool evening by the sea with my cup of coffee. It was really a simple day out but really close to what I love the most, the sea. After it turned dark and I was totally exhausted, I just caught a taxi and took the highway towards Muscat Opera House which was really beautiful from outside and drove towards home. Leave Nothing but Footprints, Take Nothing but Memories.